After two straight wins, the Boston Celtics came up short against the Utah Jazz 98-86 on Saturday night in Boston. Offensive woes and self-inflicting miscues were the story of the night. It started with shooting the basketball. At just 38.5 percent form the floor, the Celtics never really gave themselves a chance to compete. When forced to fire up shots from behind the 3-point line, the Celtics had little success, converting on only 5 of their 33 attempts. Shooting the ball with defenders in their face is one thing but going 11 for 20 from the foul line simply shows a lackluster performance. Not to mention, 14 turnovers in which many of them were blatant mistakes make for a combination which simply doesn’t add up to a fruitful night at TD Garden. 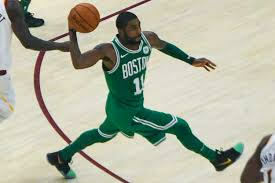 As the team struggled offensively as a whole, star point guard Kyrie Irving was able to put up 20 points along with eight rebounds and two steals. For the Jazz, Donovan Mitchell looked like his normal self, posting 28 points and six assists. Ricky Rubio added another 20 points and three steals. This win on the road brought the Jazz back up to .500 on the season. The Celtics will travel to Charlotte to take on the Hornets, Monday, November 19th at 7 pm.